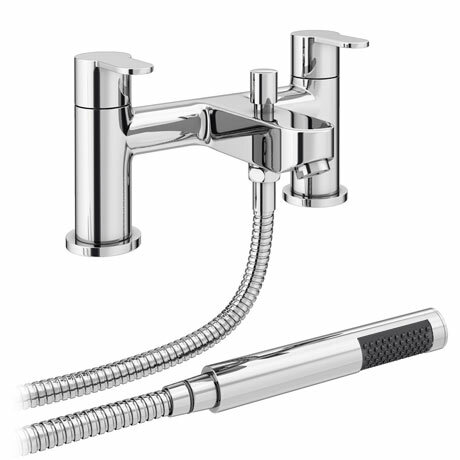 The stylish modern style Gio bath shower mixer taps, create a stunning designer look to your bathroom with the clean lines of the Gio bath shower mixer. The curved lever handles ensures ease of use, while the high quality chrome finish will stand the test of time. Includes the hand-held shower head, wall bracket and the flexible hose.